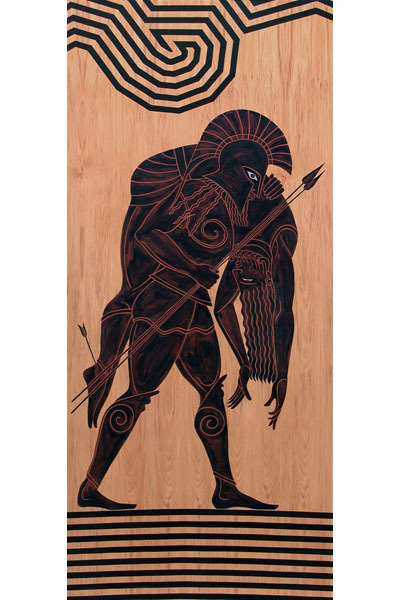 Seven paintings on door panels, some showing timber veneer, some flat colour, with varied approaches to the theme of struggle. 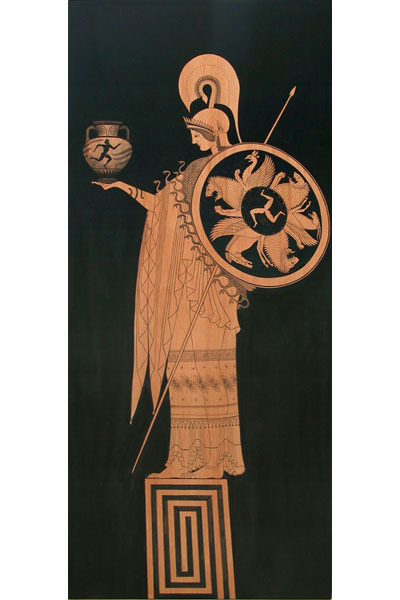 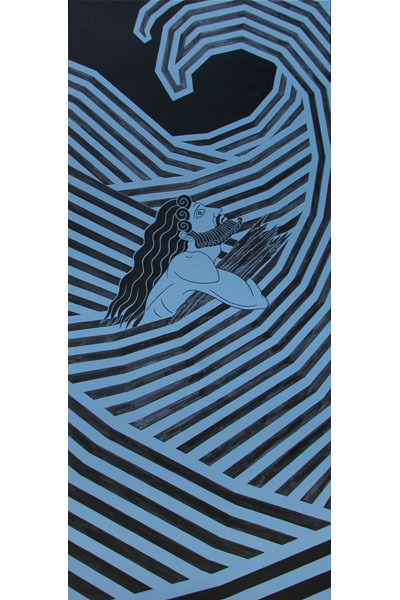 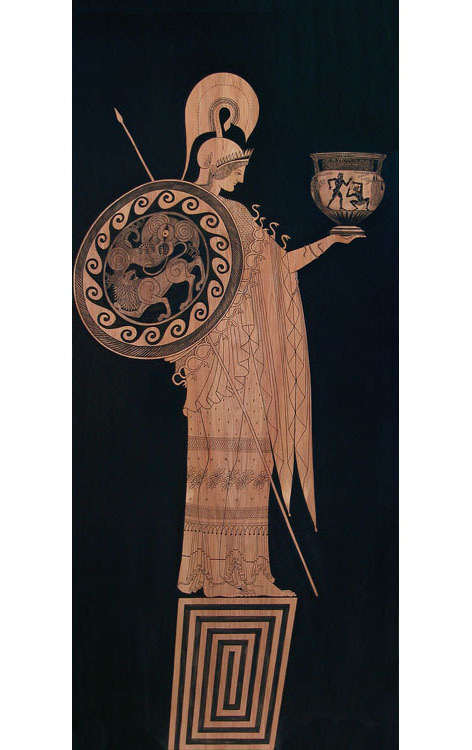 The characters are from Greek mythology and the subject developed as a result of living in Christchurch through the earthquakes of 2010-2012 and through the recovery period. The panels were accompanied by a group of four etchings which play with the idea of wrestling. 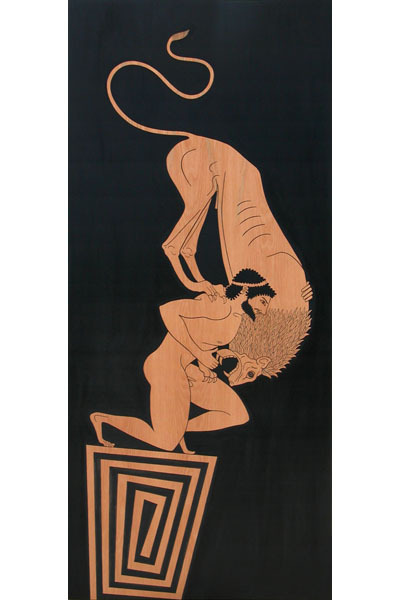 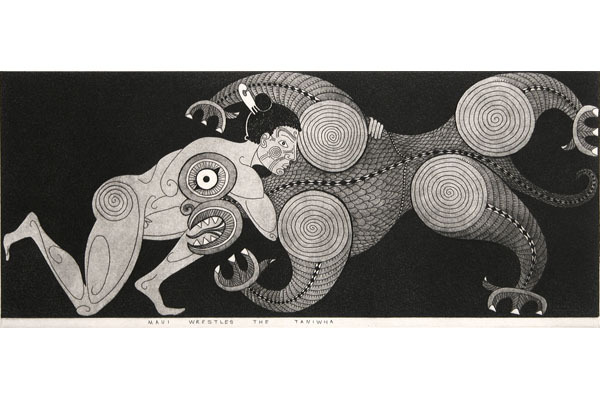 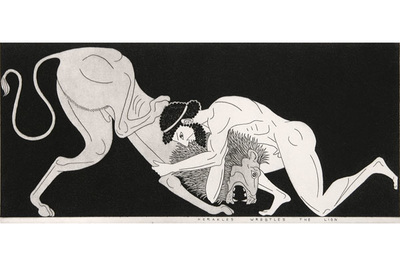 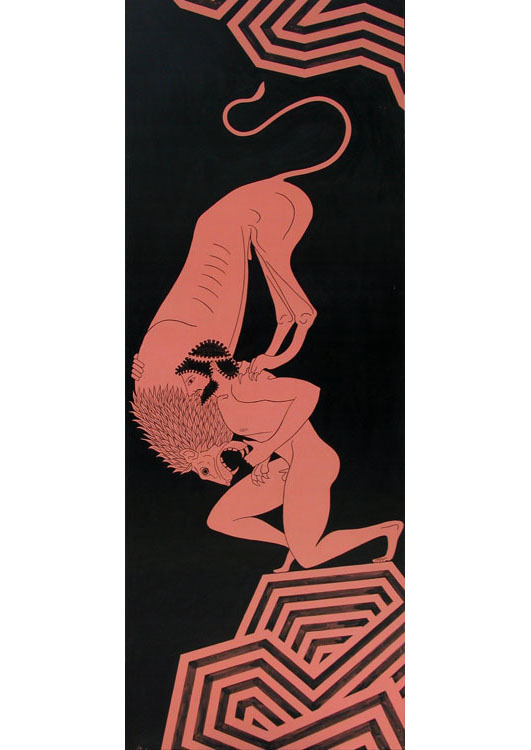 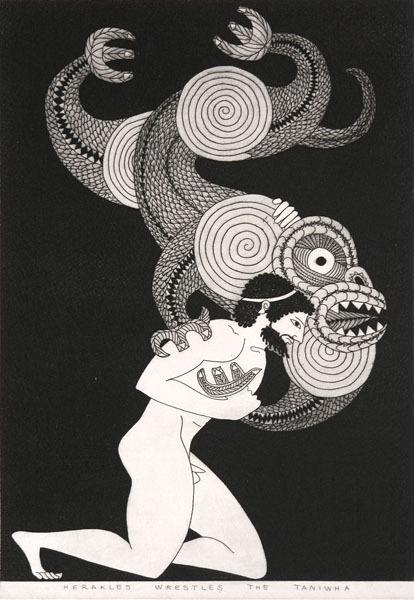 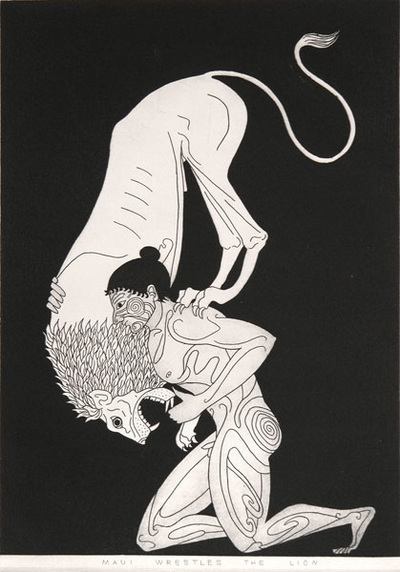 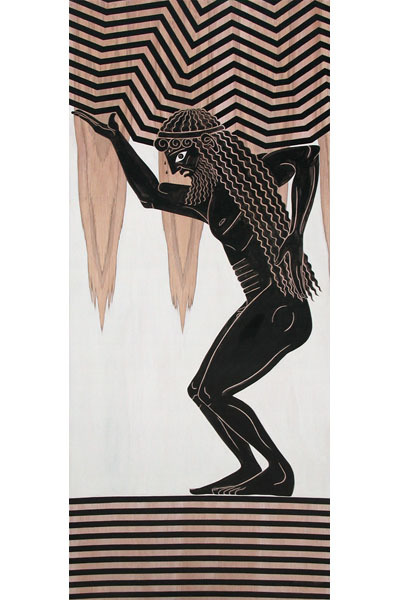 Herakles or Maui wrestle with either the Lion or the Taniwha. 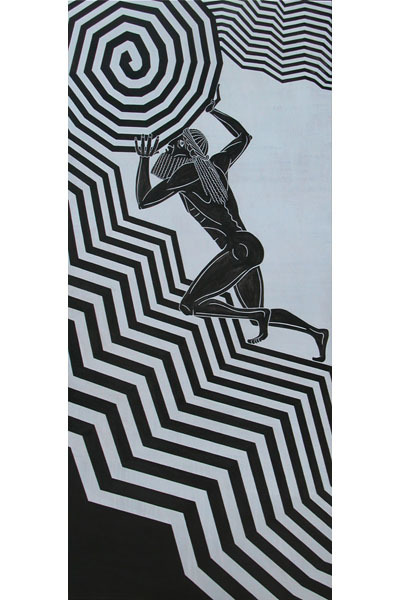 Feats, Pursuits & Endless Toil was shown at PG gallery192, August 25 to 19 September, 2016. 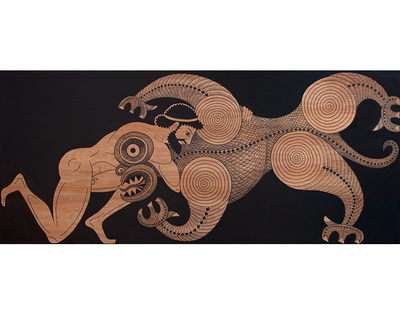 Marian produced four more related paintings on panel under the title Wrestling, shown at Bowen Gallery, Wellington, October 2015.